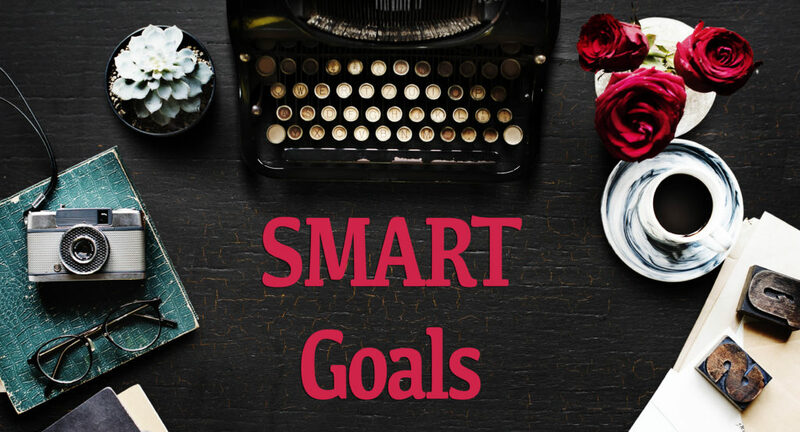 Your Writing Goals – Be SMART! Every writer tries to set goals for their writing. It seems like a simple concept, but in reality, it’s pretty challenging to stick to those goals. Not only does life get in the way, but mental blocks get raised and prevent us from becoming the authors we’re meant to be. In reality, only 3% of the world’s population sets goals for themselves. Out of that 3%, only 1% accomplishes those goals. Why is that? Most writers set a daily word count goal. A readily achievable and valuable goal is to establish a minimum of say, 1000 – 2000 words per day. Some writers say that doing one productive thing for their writing per day is a comfortable pace to set. Setting varying goals is the most beneficial way to get ahead in your writing career. What are varying goals? It’s not enough to just set that word count. Your writing path (and life path) needs to be examined on macroscopic and microscopic levels. – Where do I see myself in ten years time? How many books will I have written? – Where do I see myself in two years time? – Where am I at the same time next year? Have I finished the current series? – If so, what is the timeline for each book? – What is the timeline for my current book and how does that translate into workable chunks of time? – Where is this series going? What do I want for my characters? – What will be my next series/ book? – How will I appear on social media in a years’ time? What channels am I focusing on first? – Which conferences are on my bucket list? – Which fellow authors in my genre would I love to meet? – What are my spiritual goals? How do I look after myself mentally/ emotionally on a weekly basis? – What are my financial goals? For this year and the future? – What are my health goals? Writing = inactivity. How do I take care of my body? In reality, setting ‘writing goals’ can be a lot more complicated. Especially for the overachievers out there. Setting goals that are unattainable can either de-motivate a writer or cause eventual burnout. The best method that I have used in setting goals is to set SMART goals. SMART Goals have been around since the eighties and were originally Peter Drucker’s Management by Objectives concept. Since then, Professor Robert S. Rubin (Saint Louis University) wrote about SMART in an article for The Society for Industrial and Organizational Psychology, stating that SMART has come to mean different things to different people. SMART goals persist as an acronym because if you set goals the SMART way, it works. The SMART acronym may not be the most exciting way of setting goals, but it’s the most effective. Relevant (reasonable, realistic and resourced, results-based). Time-bound (time-based, time-limited, time/cost limited, timely, time-sensitive). What do I want to accomplish? Why is this goal important? Which resources or limits are involved? I want to write a four-book series about MSD agents located at the American embassy in Lagos (A future series on my writing list) This goal is important because I know the men on the ground who have been there and rescued kidnapped school girls from the Boko Haram. My series will possibly be about three MSD agents and one DSS agent. I’ll need to rely on research and conversations with the actual teams. Resources – I have already purchased three books, will watch documentaries and talk to the experts in the related field. How will I know when it is accomplished? You might measure your goal of setting a starting/ finishing date. I could start the first MSD book in July 2019. Finish the last book by December 2020. Your goal also needs to be realistic and attainable to be successful. In other words, it should stretch your abilities but still remain possible. When you set an achievable goal, you may be able to identify previously overlooked opportunities or resources that can bring you closer to it. You might need to ask yourself whether writing 3000 words per day is realistic, based on your existing lifestyle. For example, do you have a full-time job? Family responsibilities? Are the necessary resources available to you? Can you afford to publish the series in the set amount of time? This step is about ensuring that your goal matters to you and that it also aligns with other relevant goals. We all need support and assistance in achieving our goals, but it’s important to retain control over them. So, make sure that your plans drive everyone forward, but that you’re still responsible for achieving your own goal. Does this match other efforts/needs? Am I the right person to reach this goal? Be smart about what you’re writing. Is it marketable for 2018? 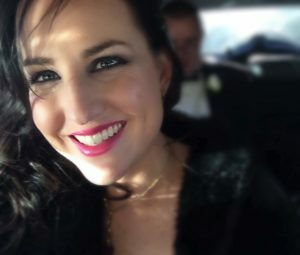 Will people want to buy your book? How large is your audience? Have you considered your spouse’s goals? For example, if you’re going to start a family, would writing in your free time create difficulties? Every goal needs a target date so that you have a deadline to focus on and something to work toward. This part of the SMART goal criteria helps to prevent everyday tasks from taking priority over your longer-term goals. What can I do six months from now? What can I do six weeks from now? Don’t give yourself too little or too much time to write that book. Save ahead of time for editing/ book cover/ marketing costs. Don’t put pressure on yourself and create an environment for failure. It’s important to give yourself a realistic time frame for accomplishing the smaller goals that are necessary for achieving your final objective. I use a goal-setting journal to track my progress. The front section is all about goal-setting, the rest of the diary is translating those goals into my calendar and my ‘things-to-do’ list. Find a process that works for you. The golden rule is to write down your goals and look at them often! International Romantic Suspense author, Louise Dawn writes dark tales charged with scorching romance and gritty action.